The concept of epigenetics has been known about since the 1940s, but it is only in the last 10 years that research has shown just how wide ranging its effects are. It is now a very widely-used term, but there is still a lot of confusion surrounding what it actually is and does. Epigenetics is a new textbook that brings together the structure and machinery of epigenetic modification, how epigenetic modification controls cellular functions, and the evidence for the relationship between epigenetics and disease. It is a valuable source of information about all aspects of the subject for undergraduate students, graduate students, and professionals. 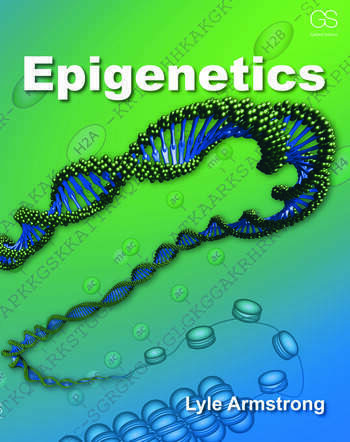 "The author has made a very thorough presentation of several areas within the field of epigenetics. The material has been presented in a comprehensive, well-organized and understandable manner. He allows the reader to gain a strong foundation of each subject area by including detailed introductory sections. The coverage of the topics will allow the reader to obtain both general knowledge and also more detailed understanding of the regulating mechanisms involved in epigenetic changes and the consequences of those changes. The content is also relevant to current trends in the field of epigenetics and includes reviews of disease states related to epigenetics, such as cancer, which are actively being researched."